Are you ready for Christmas? I can’t wait! 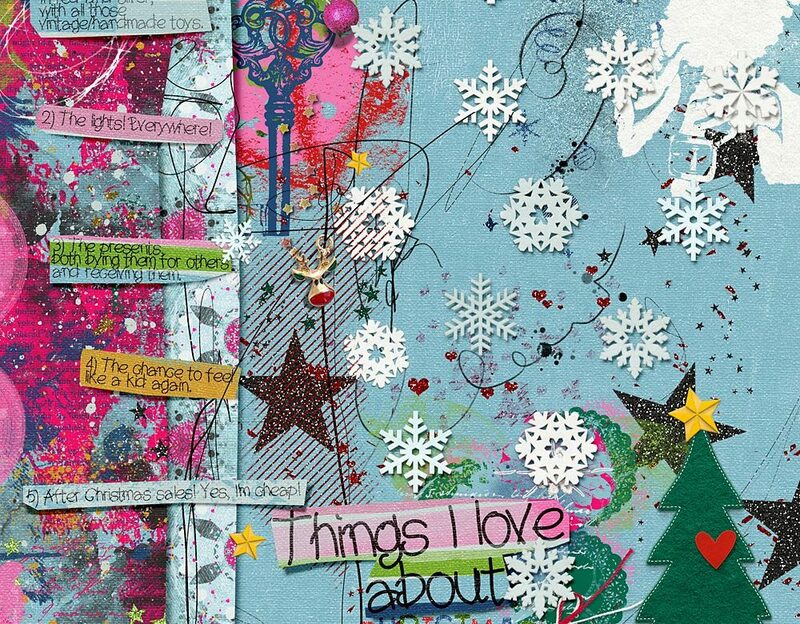 Cindy here with a page I made for the Journaling Challenge at The Lilypad. The challenge was about making our journaling in the form of a list. 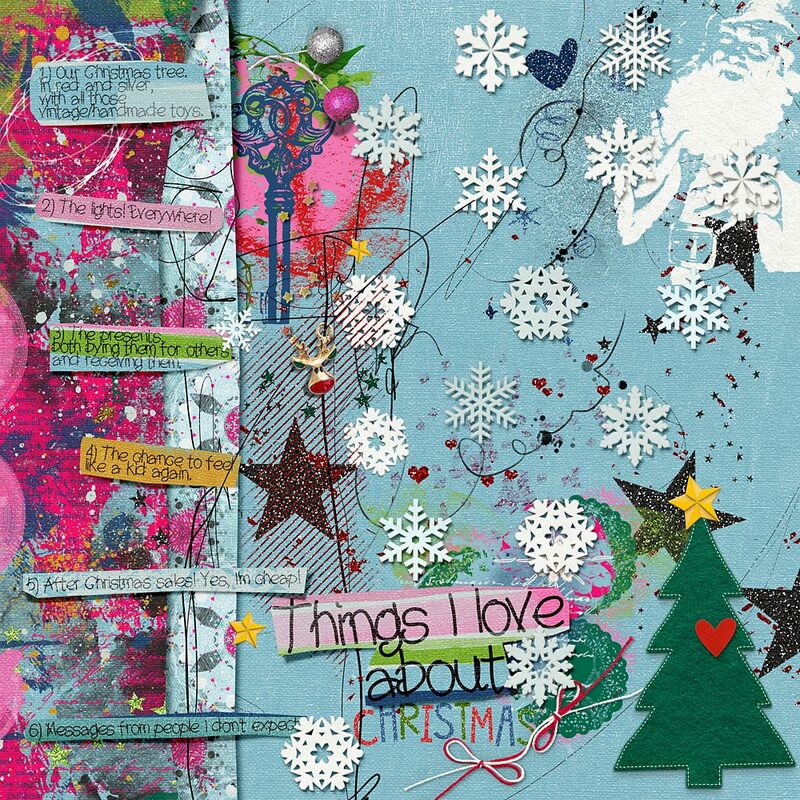 I wrote about the things I love about Christmas, and I used “Delights of December” by NBK-Design. For the paper strips I used the Polygonal Lasso Tool in order to make more realistic and not perfectly straight strips. You can find Delights of December by NBK-Design at The Lilypad.